Why do you practise yoga? I found myself in the library reading transcripts of one of Geetaji’s talks from nearly two decades ago. As always, many gems in there and I wrote down some of them in my book. One of the thoughts that stayed was a question. Why do you practise yoga? If I had to answer for myself, I would say mental clarity, emotional intelligence and perhaps more longingly a chance to experience a spell of being boundless. It is amazing how much progress has happened with the knee in the last three weeks. All it took was letting the teachers know what I felt. For a long time, I felt that the root of my knee condition lay in the groins and sure enough, I’ve seen a huge turnaround since that day. It’s a different experience to practise passively, mostly just relaxation and with a lot of assistance. Surrender at multiple levels, to the body’s intelligence, to a teacher’s touch and of the mind’s desire to be doing. Yoga looks very different from a prone position. I suppose when you’re on the ground, you can’t go any lower. Perhaps the last year was about grinding down until I lay face down and stripped the layers of fear. Learning to own up to my life and let that song be heard. It is difficult when you are used to singing alone. The face of my yoga practice has changed from feeling a lack of availability to acknowledging what is present. The sensitivity of the body is much greater than what it was during days of active asana but I doubted it. How could it be possible for someone so young in yoga to feel that way? I still remain skeptical but there is a tiny voice that tells me that perhaps it is what it is. The ability to experience need not necessarily be related to the length of practice. Today’s sutra class was on 1:18 and explored that same boundlessness. It’s unnerving and exhilarating at the same time to find that the experience ‘i’ sought is one that is spoken of in these studies. And as the sutra speaks, transcending even the balance of potential sanskaras, the restraining ones. I can’t help but feel immense gratitude for the opportunity to listen and soak in Prashantji’s words. Sometimes I wonder if I should write here, and if it isn’t self inflating but then I remember why I started. Perhaps another who begins their journey can see my stumbles and know that it is a journey that is worth it. An offering of gratitude. As Prashantji says, the sadhana is through Shastrasangha, satsangha etc. It’s been a few weeks since Geetaji passed away and I miss her presence in the hall. My eyes roam to the end where she used to sit but that space is taken up by props and the people they support. The energy in there is urgent now, a fire that is constantly stoked to keep the teachings alive. All the teachers pour themselves into the discipline and I can’t help but see how dynamic and organic the process of teaching and learning is. And as I leave, I see the huge picture of Guruji looking into that hall and think all is well. The main hall at RIMYI has four pillars which neatly divides it into 5 parts and I can’t help but muse if it wasn’t a deliberate esoteric design meant to make the students pause. The platform and the ceiling mirror this principle of five. I wonder if it is a way to subconsciously cue the Pancha kosha, pancha bhuta, pancha prana and so on. Soon, there will be an intense exploration of the sutras that demand 100% attention. Until then, I sit and see. The other day, I was prone in class and from where I lay I could see different setups and a whole lot of focused faces. In a flash, there was a thought of time being measured, not in minutes or seconds but experience. It gallops in pleasure and drags its feet in times of sorrow. In the experience of asana, there is no room for sequential time, only experiential time. It’s the ‘atha‘ from the first sutra, the state of preparedness which opens the possibility of freedom from the limitations of time, space and causality. The medical class is always fascinating to watch. Bodies of all ages and various levels of ability are helped, often quite vigorously. I watch backs mostly and see how all of our therapy revolves around the spine. Personally, I’ve found relief after a change in sequence and a marked difference in the body between two sessions. It is extremely hard to surrender the desire for an active practice and experience the quietness of a long passive and recuperative one. There is no other way. Outside of class, the body holds its stresses in different parts and I’m learning to let go as soon as awareness appears. Sometimes all that is required is to step out of my own way. All bodies age and I see senior practitioners with their struggles too. The change in the body’s topography and the disturbances of life’s circumstances erode its physical expression. I see it in my existence too, the need for reading glasses and a slowing down. The body is a decaying instrument and will lose its capacity over time. I suppose one can only do the necessary sadhana to look after it to keep the heart and mind in fit condition for yog. That agility and endurance calls for a different practice. Does a lack of complicated poses or a rigorous sequence make it any less of sadhana? My head says no but the heart is only just about accepting its truth. Asana is one petal, the others are oceans in themselves. My recent exploration has been the Isavasya Upanishad and as always, I remain enthralled by the sheer poetry and simplicity of age old words. All of the Upanishads leave me with a sense of upliftment despite not really understanding it. Just the words bring much joy and I cannot begin to imagine how much more unpacking its essence would bring. But then again I suppose then it wouldn’t matter, there would be no sense of separation. It is a matter of many lifetimes before any of that becomes even remotely possible. For now, I listen to its music, enthralled. One of the things that jumped out was the need for balance, an echo of abhyasa and vairagyam. It is an ongoing experimentation for me to learn to temper a tendency for solitude with a healthy sense of community. It is part of the fabric of being in the householders stage and any tilt towards one extremity is self defeating. Easier said than done but try, I must. A couple of weeks ago, we explored ‘smriti‘ as part of the sutra study at RIMYI. Just a day before that I was talking with someone about memory and since then ‘smriti‘ has been a continuous whisper. Prashantji mentioned how the other vrittis were ‘subsumed by smriti‘ and that phrase has taken root. Smriti again. Memory is a loose translation for smriti as the latter indicates knowledge recollected as well as the recollection of the process of knowing . The technical delving into the vrittis is a fascinating exercise and one that is deeply rich at the Institute. Between Prashantji and Srineet, there is a lovely balance of structure and flow. I remember thinking how the teachings of the family are like a river, continuously flowing. No matter at what point one enters it, one is bathed. The generosity of their sharing reminds me of something I read once about how sharing even the little we know is important since that could possibly help someone else to get more out of that small piece of knowledge. Back to smriti, the concept was deeply immediate to my current situation. How does one use smriti in its aklishta form? How do you examine all the vrittis that come remain encapsuled by it? How much can you trust the mind and the senses? Regret for the past and worry about the future also lie in its realm. The current embodiment is a result of smritis of previous lifetimes. How does one work through the weight of all that past? The sutra leads on to the twin rivers of Abhyasa and Vairagya, one flowing outward and the other to the source. ‘Chitta Nadi’. It is the solution Lord Krishna gives Arjuna as well. Oftentimes when I open the Bhagwad Gita, the page that appears is the shloka (6:35) that provides the same solution. The treatment of the solution in the Sutras and the Gita is the same but its expression is beautiful in both. Terseness in one and personal in the other to suit the capacity of the sadhaka. Krishna taps into the innate warriorhood of the Pandava prince by addressing him as ‘mighty armed’ and brings an empathetic understanding of the difficulty in restraining the restless mind before laying out the prescription. 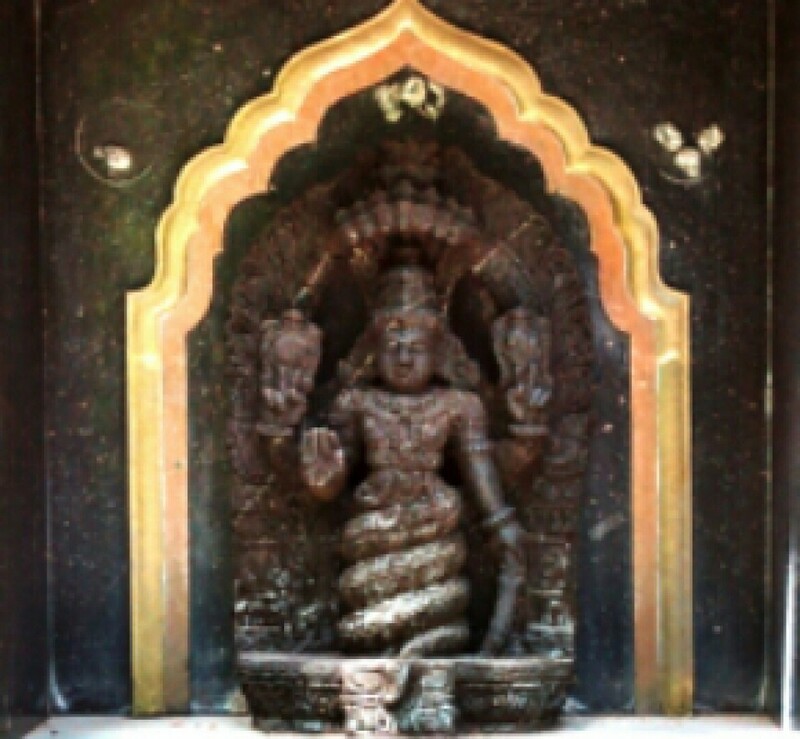 Abhyasa uses smriti. In asana practice or study of the texts, the mind employs smriti to go further leading to more smriti. And what is the limit of the mind’s capacity? What is the limit of the capacity of the cosmos of which we are not even a drop? Our lives are part of that uninterrupted recording and we are mostly without any real control since our thoughts and feelings based in the past drive our present. Instinct must come from that recollection of millenia. I imagine (vritti again😊) Vairagya would be the ropes of smriti falling off by itself. No burden of past impressions or future anxieties. This student is deeply grateful for the experience of listening to the learnings of teachers who have thought deeply on the subject of yog. These ruminations are but a tiny interpretation of what was understood of a few things that they shared. Perhaps in time, something else will be revealed from all that was heard until now. Practice began with savasana today after my morning reading. It led to thinking about seeking versus searching. Seeking implies a quest for an unknown answer while searching inherently assumes that the object is known and one cannot find it. What is it we seek? Life. On that note, I lay down in the pose of the corpse. Somehow, there seemed to be an urgency to quieten the mind. The body slowly surrendered to the ground and the mind opened into the universe. It exists, in savasana, the entire universe exists in all its infinity. I had a glimpse of its endless movement and stillness, a perpetual cycle of creation and destruction being played on an unchanging screen. The irony of waking up to life in savasana was not lost. Update: I came back from the Shraddhanjali for Geetaji this evening feeling that all is as it should be. The grief is receding and a renewed vigour has been ignited. Prashantji spoke about Geetaji’s lifetime being one single situation, Abhijata spoke about her one continuous thread of yoga, Iyengar yoga and Guruji. Her commitment, sacrifice, implicit faith in Guruji’s words, her love, devotion and reverence for her father were some of the facets that all those who spoke about shared. For me, I think of her as being ‘childlike’. It’s a quality I associate with Guruji too, a nakedness without shame. Perhaps that is the honesty that Abhijata highlighted. We are lucky to have volumes of her work to fall back on. Thanks to the age in which we live, we can listen to her voice and see her. As for her, I like to imagine that she climbed those steps in her dream to be with her beloved Guruji. Every Christmas, I go to church with my mother. It means much to her and doesn’t take much except a couple of hours of my time. I listen to the sermon for a hook, something to ruminate on. It’s a habit now, this soaking in of words and letting the message surface whether in a book or when listening to someone. This year, the priest was talking about Christmas being a celebration of interruptions. And I found my hook. While the season is one of celebrating family and loved ones, the first Christmas disrupted the trajectory of many lives. Mary was told she would be the mother of God, Joseph was asked to accept her and the unborn son. Many mothers lost their children to the purging of a fearful king Herod. Shepherds and the wise Magi were filled with joy. Jesus himself was born in a manger, a displaced birth from the norm. Tidal waves that forced a turn in all those lives. Interruptions have a negative tint in their etymology as it implies a break. Mostly they tend to be a rude jolt to one’s plans and become a focal point of displeasure. Aversion. Sometimes there are pleasant ones but those usually get labelled more benevolently as ‘surprise’. 2018 was one of interruptions at many levels and in many ways. It seemed like a big mess for a large part of the year. On the outside, there have been some drastic changes but the insides saw a tectonic shift. And like all those movements of the planet, it takes a while for a new normal. The continents went through their upheavals before they rearranged themselves as we know it today and the change still rumbles unseen. My lowest point came the day after Geetaji’s passing away. It saw me crumpled and crumbled watching a repeat of all that I finally broke away from. Perhaps, that was a necessary catharsis, that piteous, animal howling of sorrow for another’s pain through which I could find expression. Eventually, that moment passed and endurance kicked in. One which allowed the pain to coexist even as the body worked and memory woke up. I remember Geetaji everyday, fragments of her instructions through her books and talks serve as an encouragement. Yet, I grieve, a strange grief. Perhaps, this mourning is an acceptable one for another grief that cannot be acknowledged. It was a Christmas, interrupted. I was on my mat this morning when I received a call that Geetaji had passed away. It seemed unreal and fitting at the same time, she went in a blaze of brilliance after seeing the Centennial celebrations. But, I mourn selfishly for my regrets. I mourn for not reaching out to learn. I mourn for forever losing the chance to experience her as a direct teacher. Ever since I became a student at the Institute, I wanted to share my briefest of brief moments in Guruji’s presence. Many years ago, I stood in line among others to seek his blessings at the end of a commemorative program. I was carrying my younger child and today I realize his presence and the gift of yoga blessed her far more than I can begin to imagine. I wanted her to know it but was too much in awe to share it. I thought I was an unworthy student and didn’t deserve to say it in person. So, I fiddled with the thought of writing her a letter and was stuck at the thought what would happen if she decided she wanted to know who is this person in Pune who would rather write a letter than meet. And so, I did not act for all these years. My first act after I got off the mat was to write that letter. I reached the Institute and sat down next to an elderly lady and when she patted my lap, couldn’t help but share my regret about not reaching out. She consoled me and much later, as I left the crematorium, she told me to be bold. And so, at another ending, there is a new beginning. Just like Guruji’s words. I wonder if it is ok to feel so much grief for someone I never directly knew. But, my heart is raw and the tears threaten to choke my heart. I swallow their hot pain and look upwards to send them back but they remain brimming. Many memories have been bubbling inside. I would practise to her DVD and took back a different learning everytime. Her voice is imprinted in my brain. Even through an inanimate and indirect class, her energy would be palpable. I would feel as though I was at the Institute. Sometimes, I would linger on my way down after class to hear her voice back when she was still taking the ladies class. Lately, I would yearn for her guidance in the medical class but didn’t have the nerve to ask. I thought my knee issue wasn’t bad enough to ask for her help, or anyone else’s for that matter. I remember her talks, her earnestness in being true to the principles of yoga and her immense devotion to Guruji. She was a worthy disciple and daughter. I am reminded of the dream she had after Guruji’s passing away and which she so generously shared. In my heart’s eye, I remember her smile, the half smile of satisfaction at the end of a session. A childlike innocence. That’s how she will remain in my heart. Humble pranams from an undeserving student.